The remarkable Paracombe wines story started in 1983 following the Ash Wednesday bushfires when Paul and Kathy Drogemuller bought an old dairy farm at Paracombe in the Adelaide Hills in South Australia. With no background or experience in grape growing or winemaking, they planted a vineyard and so began their dream. In typical Australian style, they started making wine in a tin shed with a couple of old milk tanks, a small crusher and home built basket press. Paracombe Wines was launched in 1992. 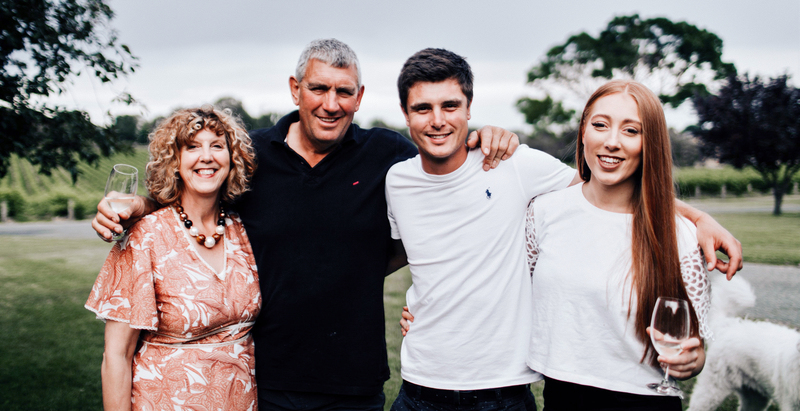 Together with hard work, passion and vision Paul and Kathy expanded the vineyard, designed and built a winery with facility to crush up to 2000 tonnes of fruit, underground cellars and stunning cellar door. Son Ben works in the family business and daughter Sarah in hospitality, helping out with events. The Drogemuller family and Paracombe’s dedicated, dynamic team have worked together to build a very successful, award winning, family business. Paracombe wines are proudly handcrafted from the beginning to the end, with grape growing, winemaking, storage, packaging and distribution all done on site ensuring complete care for the production of beautiful wine made to enjoy.